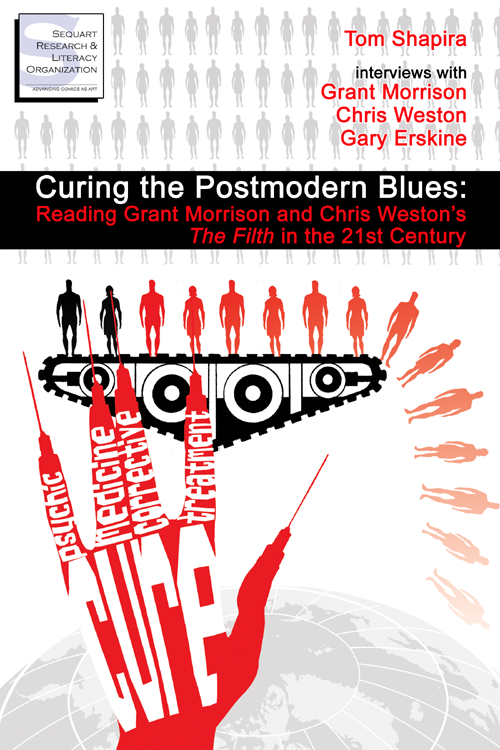 Published in 2002-2003, Grant Morrison and Chris Weston’s The Filth is disgusting, deeply disturbing, and a comic-book masterpiece that inoculates readers against the problems of the postmodern condition. So says Tom Shapira, who also explores The Filth‘s relationship to Morrison’s The Invisibles, to the 1999 film The Matrix, and to the work of Alan Moore. The book also includes interviews with Grant Morrison, Chris Weston, and inker Gary Erskine, plus art from Weston illuminating the design of the series and containing imagery censored in the printed comic.